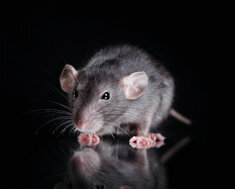 If you are looking for a comprehensive pest control and prevention service for your business in and around Milton Keynes, Leighton Buzzard, Hertfordshire, Bedfordshire and Buckinghamshire, whether it is bird control, rodent control, insect control or a more specialised service, DMC Facilities Management Ltd will have the right solution for you. An infestation can be very distressing and disruptive, so we believe in prevention and not just cure. Our consultative approach means we can design solutions that fit your needs rather than using a one fits all approach. Pests are an environmental problem and need environmental solutions. Wherever possible we use non-toxic treatments, using active ingredients only for the minimum period of time needed to clear the pest infestation. Problems with pests can happen even in most modern offices. Staff and visitors can feel extremely uncomfortable and the presence of pests may cast doubts about levels of hygiene. The possibility of financial loss due to material damage, particularly to electrical or computer wiring is a very real issue. Our integrated pest management plan is supported by audit services and detailed management information and regular reporting to ensure that we keep corporate environments pest free and safe. Our team will work together with you to provide all audit reports on premises, including extensive legislative documentation. When quoting we always visit your premises to ensure we take all your cleaning needs into consideration, such as hard to reach areas and obstructions this ensures you receive an accurate competitive quote. Our pricing is always competitive and we guarantee our work 100%. If you are not completely satisfied we will call back and re-clean the offending item free of charge.